Our Best and Most Unusual Sales!
. . . and the stories behind them! And we actually have 4 of these available for purchase again! Skyranch Home on the Runway, 8360 E. Autoplane Drive, $ 2.65 million, with the largest hangar ever built on the field, with a 90-foot-wide hangar door and more space in the hangar than was in the house! 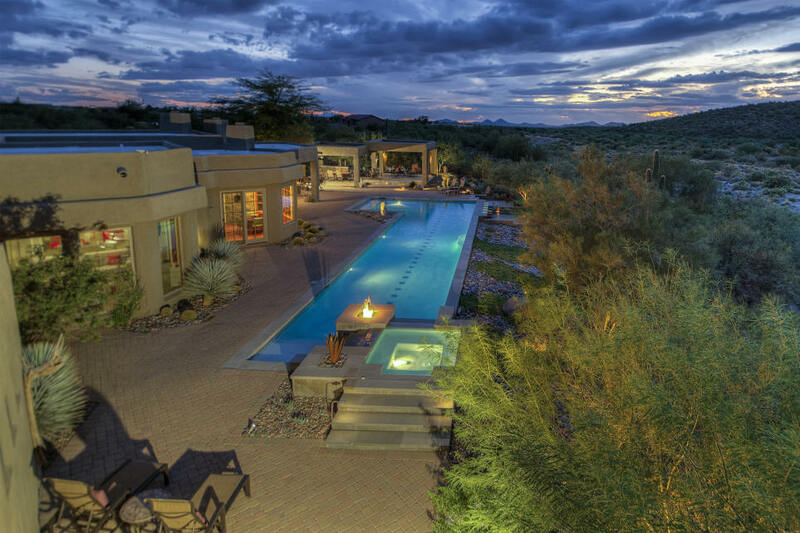 This Skyranch home bordered the runway and also the world-famous Desert Forest Golf Course. The home has been featured by multiple TV stations and also newspapers. It remains one of the largest purchases ever made at Skyranch. See a video tour of the property by clicking on the TV button at the top. We have had the pleasure of selling this property TWICE over the years! 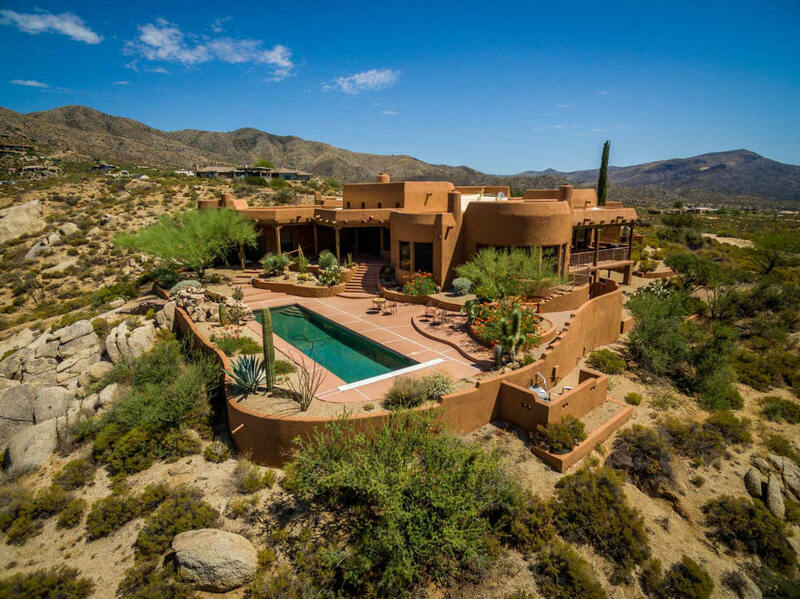 Tonto Hills home with a 35-room Indian Pueblo! 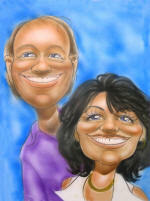 Look at the photo above very carefully, and look for the rock walls on both sides of the home. We've never seen this on a residential lot before. 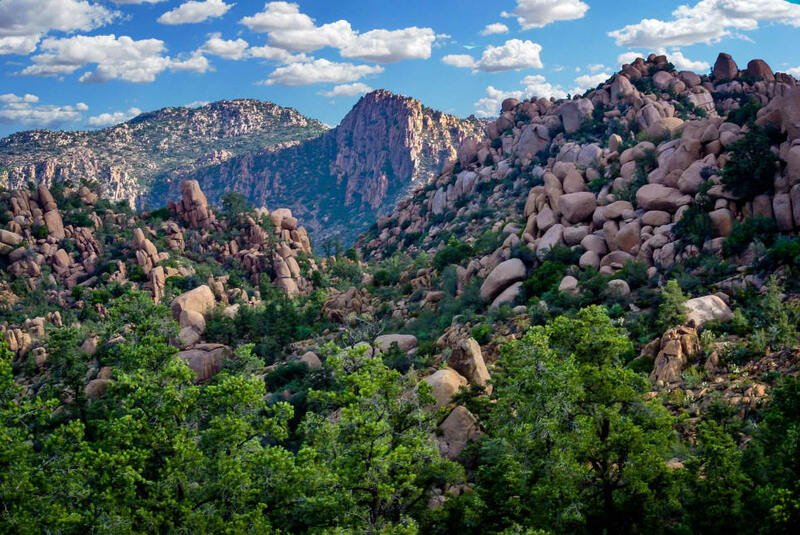 This large parcel in Tonto Hills sold this year for $380,000. 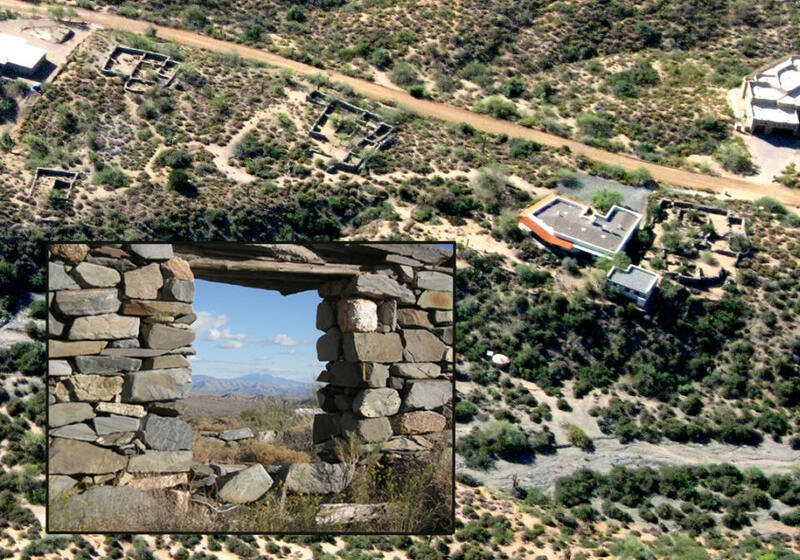 The sellers had taken care of and stabilized a fantastic group of over 35 rooms in a prehistoric Hohokam Indian Pueblo dating back to the 11th century. 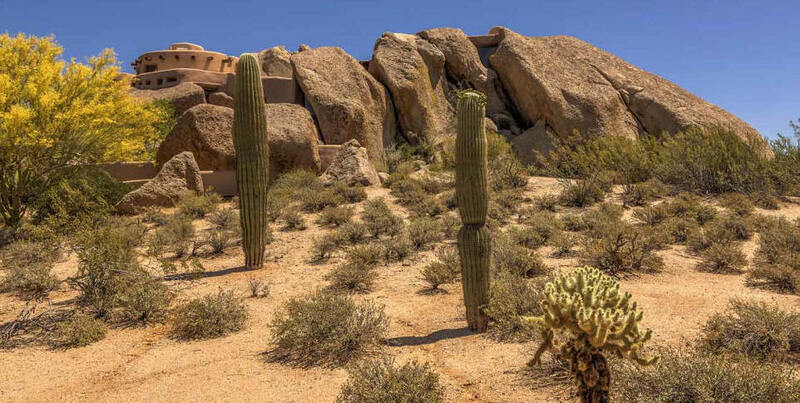 Note the intricate rock work on the inset photo, showing a doorway, with Four Peaks in the background. It was awe-inspiring to see the ruins scattered along the nearly 7 acre property that bordered the Tonto National Forest. Described as "one of the most important archeological sites identified in the local area." 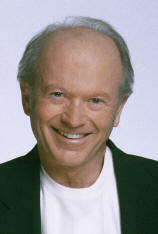 One-of-a-kind and irreplaceable! Our thanks to Russ Lyon Sotheby's agent and local historian Mark Hazelton for his help and guidance. Spanish cliffside hacienda on 5 acres on 8400 E. Tumacacori Way in Carefree, $ 1.79 million. This amazing home included a road down to the picturesque Rowe Wash and a true resort backyard designed by a professional pool builder. Location is everything, and this is one of the most secluded in all of Carefree, with large mountains rising to the North. Skyranch Hacienda Estate on two lots, bordering the golf course and runway! Sold for $2.25 million! Premier airport property that was sited on two lots at Carefree Skyranch. The property also included a massive hangar with openings on two sides and a two bedroom private and separate casita. This residence was on the runway of one of the most prestigious airparks in the Nation, Skyranch at Carefree,a private world-class premier fly-in community. The 4bdr 6,000+sf main house,2bdr 1600+sf separate guest casita & 4400sf detached airplane hangar are situated on 2.3 acres. The estate borders the 11th hole of the renowned Desert Forest Private Golf Club, recognized by Golf Magazine as one of the Top 100 Golf Courses in the US. The backyard is designed for the entertainer with a resort style pool, 1500 sq ft putting green, expansive patio inclusive of an outdoor fireplace and seating area, bbq & 2 intimate view decks. This property is again available, after $ 1 million in improvements, for $ 3.7 million. 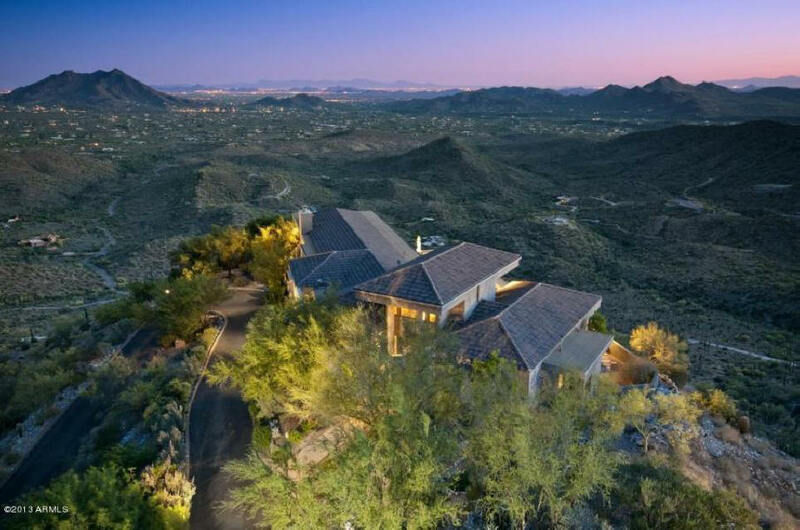 Cave Creek Mountaintop Estate with 54 acres, 42820 N. Fleming Springs Road, Cave Creek. Sold in 2012 for $3.8 million. Fox10 called it "the greatest home they've ever featured. 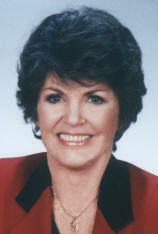 Also showcased by the Wall St. Journal, KTVK-Newschannel 3, NBC Phoenix and the Arizona Republic. This remarkable 10,000 sq. 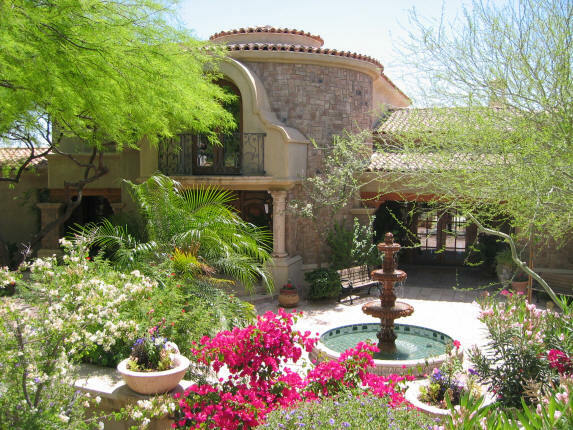 ft. Tuscan mansion on a private mountain was the biggest sale in Cave Creek in over 7 years, and surpassed all Carefree and Boulders sales in the last 5 years and was the largest amount of land available with a house in the entire Phoenix area. Carefree Contemporary home on a 7 Acre estate lot, perched on a bluff. 8100 E. Grapevine Rd, Carefree. $ 2 million. This view home was a rare horse property in Carefree and we negotiated the purchase from the FDIC after they seized a Nevada bank that went out of business. The construction loans had been with the bank. The buyer has done much to improve the property, added a private gate and more, and it is now on the market again for $2.395 million. The piece of land was one of the great estate parcels left in the town, with the property spilling over the bluff and across the stunning Rowe Wash. This is a hiker and equestrian paradise. Highest view property-12 acre gated estate on Cottonwood Canyon 844019 N. Cottonwood Canyon Drive, sold in 2016, $ 1.55 million. 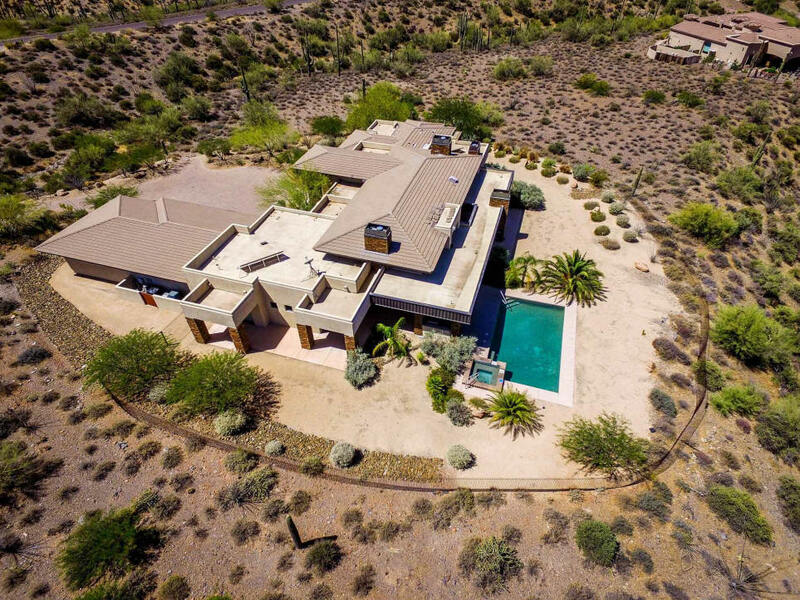 This astonishing fortress-style residence featured by Fox 10 Arizona, has double gates, full-size racquetball court, lap pool, nature trails, back-up generator and many features to make it one of the area's most incredible private sanctuaries. One of the bedrooms was originally a metal-lined fallout shelter.The driveway is called "The Lombard Street of the Desert" as it rises multiple switchbacks up the mountain, resembling San Francisco's famous curved street! 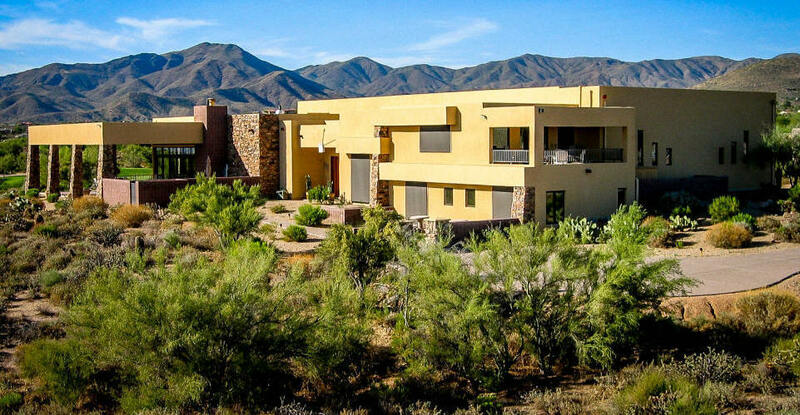 150 feet higher than the summit of Black Mountain, Huge View Property in Tonto Hills! 42418 N. Sombrero Road, Cave Creek. Sold for $ 859,000. One of the Highest and Greatest view property in the Phoenix area, just across the border of the luxury Desert Mountain subdivision. This home rose above a 15,000 sq. ft. home in Desert Mountain, and had a better view, more privacy at a bargain price! One of the prized homes in Tonto Hills that sits on the ridge overlooking the Phoenix area and a light show that comes on every night. This Santa Fe-style residence, with a rugged, authentic look, and an "Old West" bedroom with distressed woodwork and a 1800's style rifle cabinet that looks like Tombstone, Arizona! This was the fire chief's house. Stunning Paradise Valley Mansion with award-winning Mediterranen design. On Marlette Avenue, sold for $ 2.4 million. This estate features antiques purchased all over Europe and built into the home, like the 17th century Spanish entry doors. Featured on TV and a number of top magazines, there was no attention to detail that was overlooked. Even the private casita, with two bedrooms, was loaded with antiques that conveyed in the sale. A lucky and envied buyer indeed! 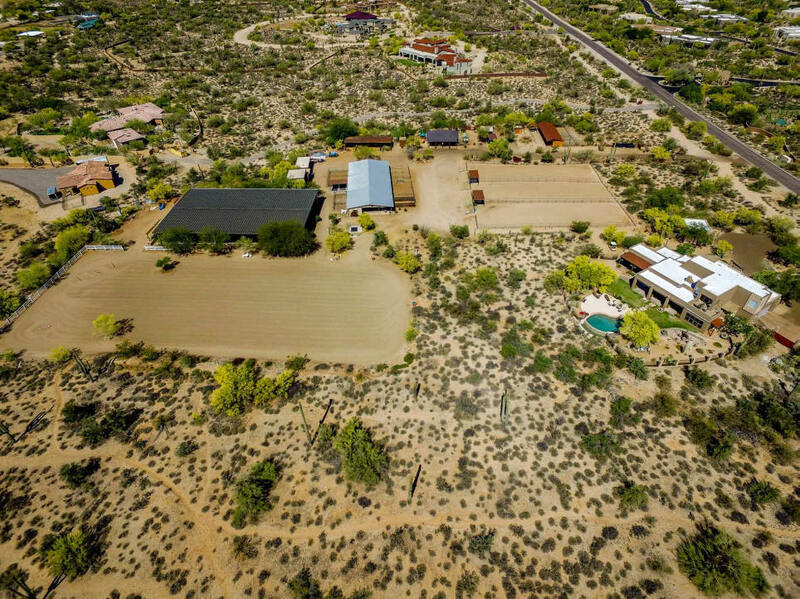 Scottsdale ranch, home and equestrian center with commercial zoning. On Dixileta Drive. This rare property with a commercial license, was sold 2016, $ 1.95 million, on over 6 acres. With three homes, huge open and covered arenas, over 24 stalls. Maximum use was made of the available land in putting together this full-service equestrian facility. 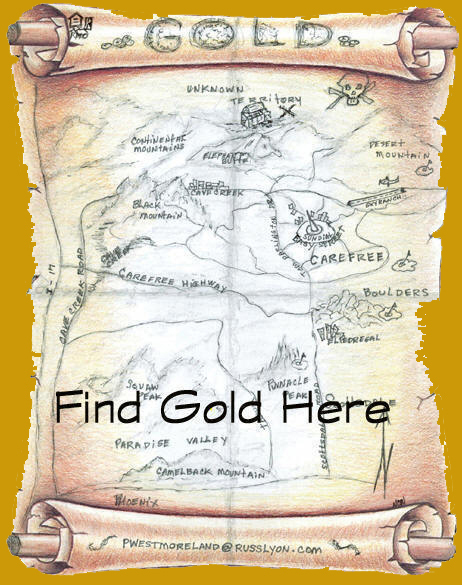 Located in one of N. Scottsdale's prime areas. One of the world's greatest retired hockey players lived next door! 5050 E. Cloud Road, Cave Creek, AZ. Sold June, 2017 $ 2 million dollars. This home was WINNER, National Association of Home Builders "BEST in AMERICAN LIVING GOLD AWARD! VOTED BEST ONE OF A KIND CUSTOM HOME in it's category. And the well-thought-out kitchen was chosen to be featured by Phoenix Home and Garden. This Creek-Side National Award Winning Home borders a Nature Preserve Land and near Cave Creek Regional Park. A true Natural Home with Earthen Materials, infused in a classic design. Vermont Blue Stone, Cherry Hardwood floors, Custom stonework, & translucent sinks. Property was on 9.5 acres, with extra room in which to build a large Car Collectors Garage, Tennis Court, Guest House or Equestrian Facility. 3 gardens on the property and fantastic backyard entertainment area on the creek, with a showcase 70' heated lap pool with swim-up bar plus heated spa.